Left: Trainshed with Corinthinian Columns. Right: Detail of Painted Ironwork. Photographs 2006 by Jaqueline Banerjee. Click on these images and those below to enlarge them. 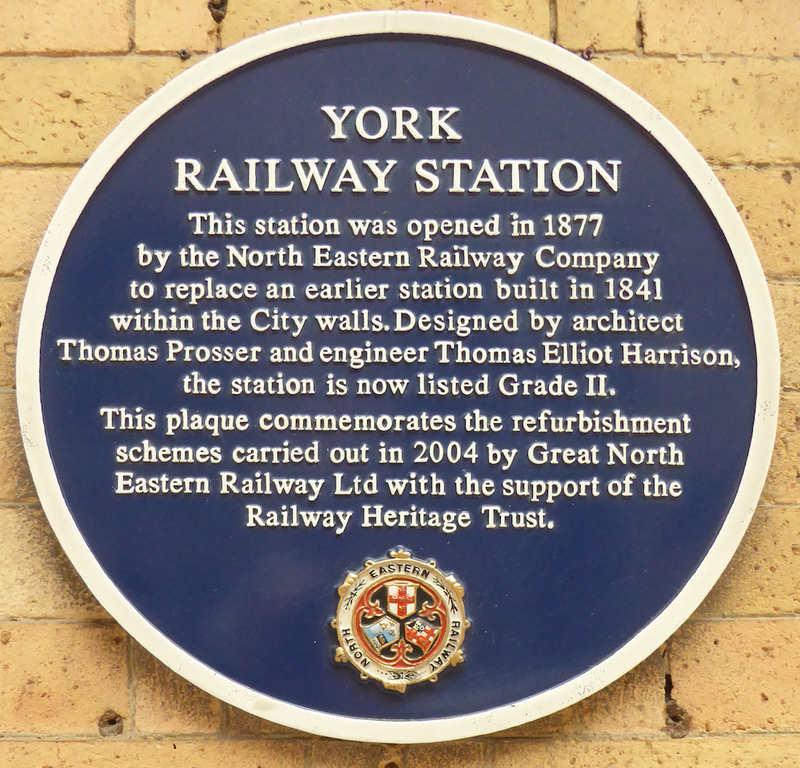 York became famous for its railroad stations; each successive one was celebrated in its period. The first was opened in 1841. Unusual pains were taken because it was the pride of George Hudson, the "railroad king," whose home town it was. G. T. Andrews, the architect, had a complicated situation to solve since it was a joint station shared by several companies. Some through lines curved by at one side, others came directly in as spurs. The wings which enclosed the four central spurs were built first and a hotel was added across the end shortly after, thus making one of the first "U" plans. 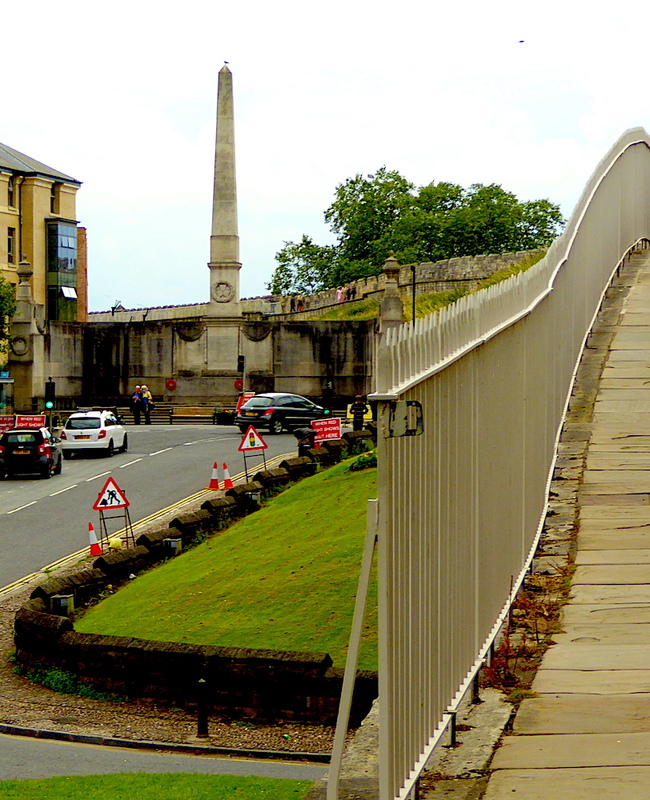 Across the ends of the spurs and parallel with the rear of the hotel was a wide cross-platform, permitting passengers and company personnel to move freely among the four lines without having to cross tracks. The building was accessible on the exterior from three sides. Left: Trainshed. Right: Cast-iron Corinthian Column. Photographs 2019 by Gorge P. Landow. 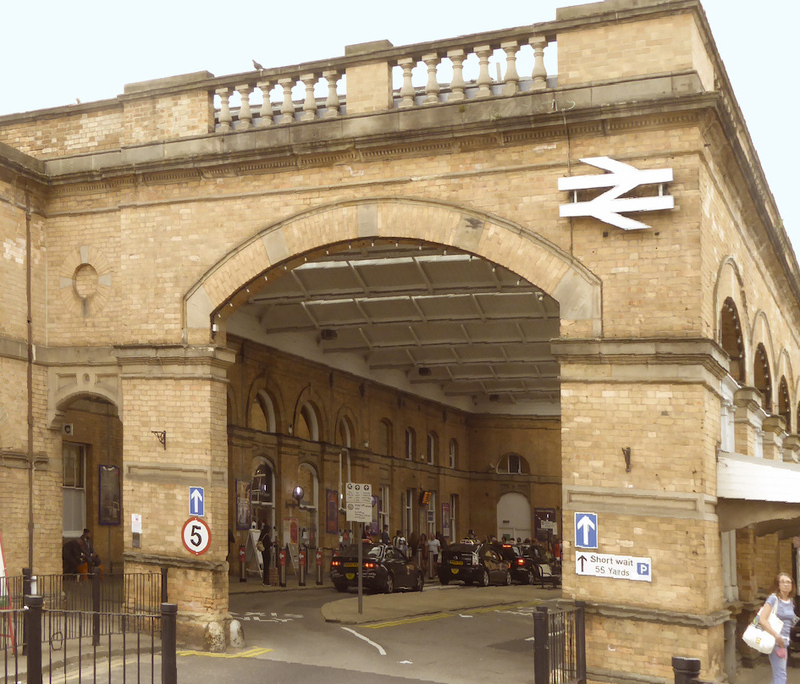 In the 1870's two experienced station architects, William Peachy and Thomas Prosser, were at work on York's third and present refined Station, using curving lines which required concentrically curved sheds. A refined version of the Newcastle naves was employed. The total diameter was considerably greater but only the central span was wider than those at Newcastle. The width to height ratio is 8:5. Extra height gives added dignity to buildings, if not always to man. The sheds at York are unusually handsome. The five-centered ribs are carefully scaled and the tie rods barely noticeable. These sheds were built at a time when single-span sheds were widely used on the plausible pretext that they permitted greater flexibility. The multiple-span shed at York proved that that type, too, was capable of producing great beauty. 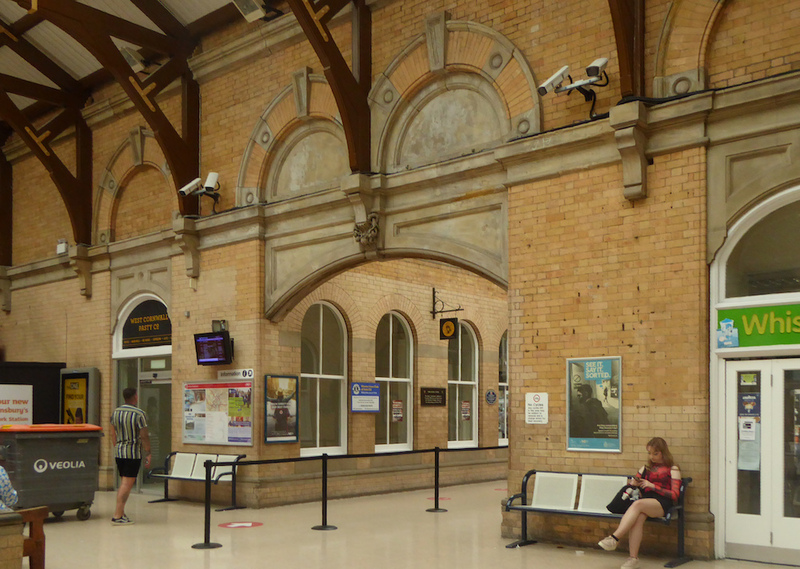 It is more beautiful than either of the older ones at Newcastle and Paddington. We should be grateful that these three exist to delight us by their intricate luminous spaces. It is regrettable that so few of them were built. 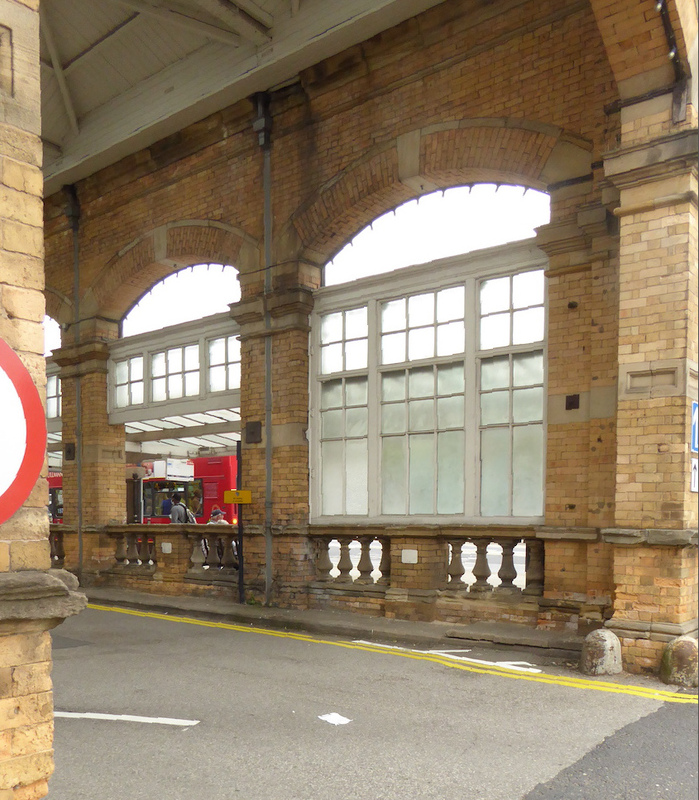 The expansion by Peachy and Prosse of York Station to thirteen tracks in 1877 made it the biggest station in the world. [GPL and JB]. 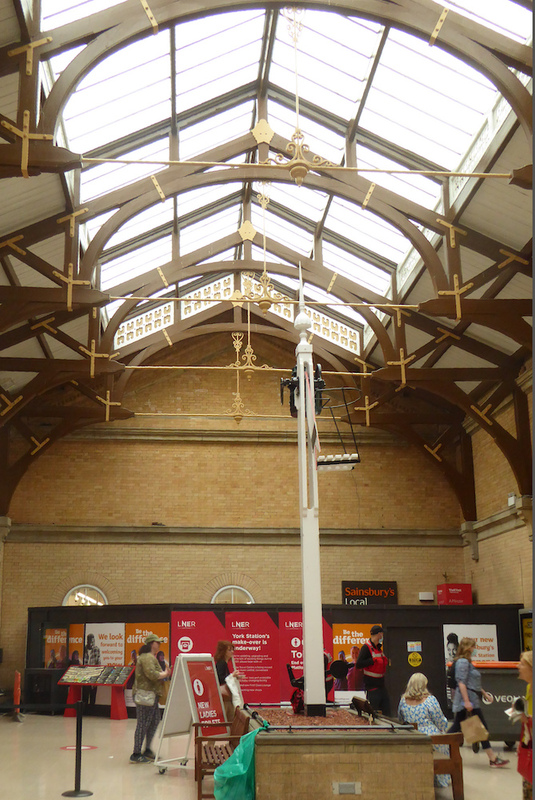 Left: Pierced cast iron beams on trainshed roof. Right: Cast-iron clock. Photographs 2019 by Gorge P. Landow. Portion of trainshed roof now used for parking automobiles and bicycles..
Website of the National Railway Museum, York.